Exclusive - Sources: North Korean Leaders Used Brazilian Passports to Apply for Western Visas - Integration Through Media ....! 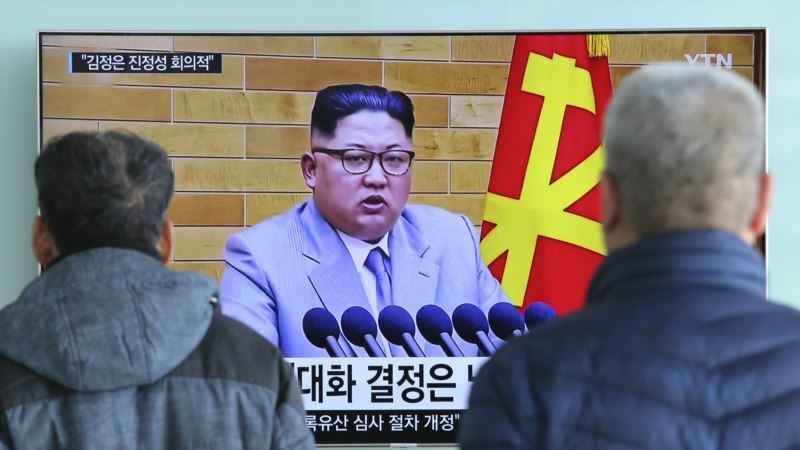 (VOA): North Korean leader Kim Jong Un and his late father Kim Jong Il used fraudulently obtained Brazilian passports to apply for visas to visit Western countries in the 1990s, five senior Western European security sources told Reuters. While North Korea's ruling family is known to have used travel documents obtained under false pretences, there are few specific examples. The photocopies of the Brazilian passports seen by Reuters have not been published before. “They used these Brazilian passports, which clearly show the photographs of Kim Jong Un and Kim Jong Il, to attempt to obtain visas from foreign embassies,” one senior Western security source said on condition of anonymity. “This shows the desire for travel and points to the ruling family's attempts to build a possible escape route,” the security source said. The North Korean Embassy in Brazil declined to comment. Brazil's Foreign Ministry said it was investigating. A Brazilian source, who spoke on condition of anonymity, said the two passports in question were legitimate documents when sent out as blanks for consulates to issue. Four other senior Western European security sources confirmed that the two Brazilian passports with photos of the Kims in the names of Josef Pwag and Ijong Tchoi were used to apply for visas in at least two Western countries. It was unclear whether any visas were issued. The passports may also have been used to travel to Brazil, Japan and Hong Kong, the security sources said. 1991 – before the issue date on the two Brazilian passports. Both 10-year passports carry a stamp saying “Embassy of Brazil in Prague” with a Feb. 26, 1996, issue date. The security sources said facial recognition technology confirmed the photographs were those of Kim Jong Un and his father. The passport with Jong Un's photo was issued in the name of Josef Pwag with a date of birth of Feb. 1, 1983. So little is known about Jong Un that even his birth date is disputed. He would have been 12 to 14 years old when the Brazilian passport was issued. Jong Il's passport was issued in the name Ijong Tchoi with a birth date of April 4, 1940. Jong Il died in 2011. His true birth date was in 1941. Both passports list the holders' birthplaces as Sao Paulo, Brazil. The first security source declined to describe how the passport copies had been obtained, citing secrecy rules. Reuters has only seen photocopies of the passports so was unable to discern if they had been tampered with.